Real estate agents should focus on blogging in order to differentiate them from other real estate professionals in 2019. Blogging can be extremely effective and powerful if you keep at it. Research shows that blogs with a systematic pattern of posting and longer consistencies often rank higher than inactive blogs. You must be wondering how blogging can help your real estate business directly? Well, in this guide we will list the various strategies you can implement with your blog to actually land homebuyers and home sellers in your area. So you didn’t fully commit to marketing yourself online…is it too late? Luckily for you, the online environment is shifting and expanding every day. There is still so much opportunity to capitalize on. The task of regularly creating effective and entertaining blogs can seem daunting at first. I know what you are going to say, “I’m not a trained writer!” Don’t worry, I’m not a professional writer either. I have however worked out my own formula for writing blogs that makes the entire process painless. 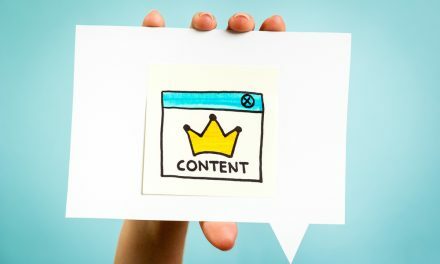 Follow these steps when writing an article, and you’ll rise in your local SEO rankings and have valuable content to share with your clients. Even if you just started with this basic formula, you would be way ahead of most agents. Not sure what I mean by CTA or “Storytelling”? Let’s dive deeper into each area of this formula so you can see the exact steps I follow when writing an article. These are the 5 main blog elements that I want you to focus on when writing your next blog article. When selecting a topic for a blog, you want it to be both interesting and relevant. Most real estate agents intuitively know the words or phrases that potential clients are using when searching online. Topics like “How to Choose a Real Estate Agent”, will always be popular but I like to delve a little deeper than this. Try to find topics that fit within the popular search terms but have a unique spin or twist. Another important point to consider is your geographic area. Including specific hyper-local references can quickly make your blogs popular references in your hometown. If you are new to the world of keywords and key phrases, you might want some help deciding on what specific areas you should be focusing on. Tools like SEMrush or the Google Keyword Planner are fantastic resources that every real estate agent should capitalize on. Remember, if a client can’t find your article when searching online, they will never be able to receive the value that you instilled within it. Let’s be honest with each other for a second. Many of the areas of interest in real estate are not the most riveting topics, especially to the average homebuyer. Our job as real estate bloggers is to take a useful topic and turn it into a story for the reader. This makes the article much more enjoyable to read but it also makes it more memorable. The human brain is wired to remember stories. Thousands of years ago, we passed along important information to others through fireside stories and song. Fast forward to today and stories are still one of the most powerful marketing tools available to us. If you need to discuss interest rates, tell a story about a client who benefited from locking in their rates just before a big hike. If you are talking about the benefits of using a real estate agent, create a narrative where you give two fictional homebuyers names. Your reader will be much more interested in Mary, a nurse and mother of three, instead of “generic homebuyer A”. Just like writing an essay in high school, every great blog has a beginning, middle and an end. In your first paragraph, you should have grabbed the reader’s attention and given them a general overview of the contents of the article to follow. In your body section or paragraphs, you should present and prove your main argument points. Near the end of your blog, you want to summarize what you have discussed and give the reader a call to action, or a CTA (we will get to those). As I mentioned above, using your keyword or keyphrase in your main title is very important for SEO. Equally as important are the subheadings. In the technology-driven world of today, many people are lazy readers. It’s a reality that every writer need to deal with. If you can link to useful content in your blogs, do so often. Google values articles that have links that lead to other valuable sources of information. Google also loves when other writers link to your article within their content. I could write an entire blog post on linking and backlinking but if you are simply including high-value links, you will be ahead of most agents. For most agents, the goal is to increase their brand exposure and to get clients to contact them. In order to achieve both of those goals, you want to keep readers on your site. Linking to other areas of your website is a great way to do this. After you finish concluding your article, it’s time for a call to action or CTA. Every piece of content should have some sort of ask (remember our end goals). You might want to request a sign up for your newsletter or ask the reader to reach out to you for a free industry update. Whatever your ask or call to action is, it should enable the reader to interact with you further. If you follow this blog writing formula, you will be creating high-value content that will drive a continuous stream of organic leads into your inbox. If you are just starting out in the world of blogging, I urge you to do it often with an open mind. The more you write, the easier it will become- I promise. I will now leave you with my own CTA. I ask you to share this information with other agents that you don’t directly compete with. Too many real estate agents are worried about competition. If we all collectively improve and provide more value to clients, the entire industry benefits.